Had a fun Senior portrait session with Nicholas this past weekend. It definitely was entertaining to say the least! 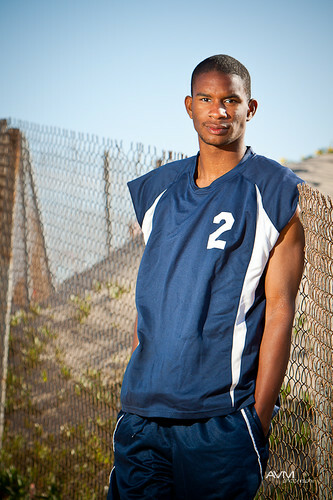 As well as playing basketball, he also played volleyball and was the Team Captain for his high school's volleyball team, which explains the jersey. As far as the location, we couldn't find an indoor place to go to for the volleyball stuff, so we went to the beach instead. We were able to get some great action shots and finished with some photographs from a path that led from the beach back to the street.